Plantation, Florida,is part of the Fort Lauderdale-Pompano Beach-Deerfield Beach metropolitan area, which is home to approximately 14,800 registered nurses (RNs), 2,860 licensed practical nurses (LPNs), and 5,310 certified nursing assistants (CNAs). RNs in the area are highly educated, typically holding a bachelor of science in nursing (BSN) or a master of science in nursing (MSN) in a specialized area. BSN and MSN programs are offered at local nursing schools such as Nova Southeastern University and Keiser University. LPN and home health aide (CNA) programs are available at Ruby's Academy for Health Occupations and Atlantic Technical College. LPNs must complete an accredited, state-approved certificate or associates degree program and obtain a license. CNAs must complete an accredited training program and obtain certification. Completion of the appropriate program and certification or a license is required because each role requires a specific skill set. For example, RNs perform duties such as administering treatment and medications, evaluating diagnostic tests, supervising other healthcare personnel such as LPNs and CNAs, and educating patients and the public about various medical conditions. LPNs care for the sick, injured, convalescent or disabled under the supervision of RNs, surgeons, and physicians. CNAs provide hands-on care and perform routine tasks under the supervision of nursing and other medical staff. Graduates of accredited nursing schools in Plantation, Florida, are prepared to seek employment at top hospitals and healthcare centers such as Plantation General Hospital, Westside Regional Medical Center, and Holy Cross Hospital. Salaries are competitive. 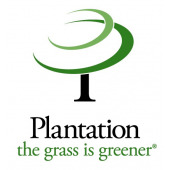 Plantation, Florida, RNs average approximately $69,270 annually. LPNs average $44,440 annually and CNAs average $25,390 annually. If nursing sounds like the career for you, it’s time to begin your search for a program in your area. Below is a list of nursing schools and programs in Plantation, Florida, that offer certificates and degrees in all areas of nursing.